This is a sponsored post from GigaSavvy. As always, all opinions are 100% mine. Hubby and I have been talking about, planning for, and debating whether or not is it time to get a new car. Both of us have old cars with over 200,000 miles on them! In the last month, my husband’s car has been in the shop three times so I think the decision is being made for us. We are thinking about replacing his car with a hybrid car and hoping we can make mine last a little longer. We will taking turns driving the hybrid car it, depending on who needs to drive furthest that day. Here in California, you can get a car pool lane sticker and be able to use the HOV lanes in several hybrid models. I know I don’t want to get an all electric car and have range anxiety. Most days, my cell phone isn’t charged all the way, so our choices have been narrowed down. Now it’s time to shop for a Car Loan. Since we know the 4th of July holiday is a popular time for sales events at dealerships, we are doing out homework now. CarFinance.com is an online resource for direct vehicle financing applications. Their calling card is their ability to put together a loan offer for even the lowest of credit scores. You can receive a decision on your loan application in under an hour, and plans are flexible for up to 72-month terms. If you are searching for a used car, you can click on their Car Buying Service tab and lock in the savings before visiting the dealership. The more information you have ahead of time, the more in control you will feel when it comes time to purchase your next new or used car. You can search by make & model, year range, body type, price range, mileage range, and distance to dealer. For new cars, they offer a hassle-free car buying experience, with a no obligation, easy-to-use program. One of the cars I am considering is the Chevy Volt Plug-In Hybrid. I just entered my preferred color and style from the menu, and it displays 3 local dealerships with an estimated savings of $6,787 off MSRP. You can generate a certificate which lists the TRUECar Estimate and the savings, print it out and take it to the dealer. 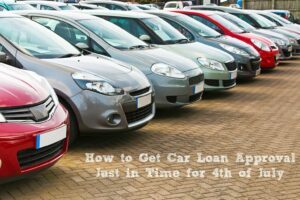 As we compare the cost of several cars, we have been plugging in the numbers in the loan calculator found at Car Finance.com. We have not had a car payment in a long time so having this tool before we head out to the showroom has been very helpful. We can also offset our payment knowing that we will be spending much less on gas (and repairs) with a new car. We are hoping to make our decision before the 4th of July. It’s a little scary, but we both know the time has come. Having a set price and knowing how much of a payment we can afford has helped us get ready for this big commitment. That’s great to know, as I will also be getting a new car and hopefully this year! Going to check out Carfinance for sure before making a decision!